China is a foreign country. No duh right? But there are foreign countries where things are a little bit different and then there are foreign countries where just about everything seems drastically different. China is the latter. 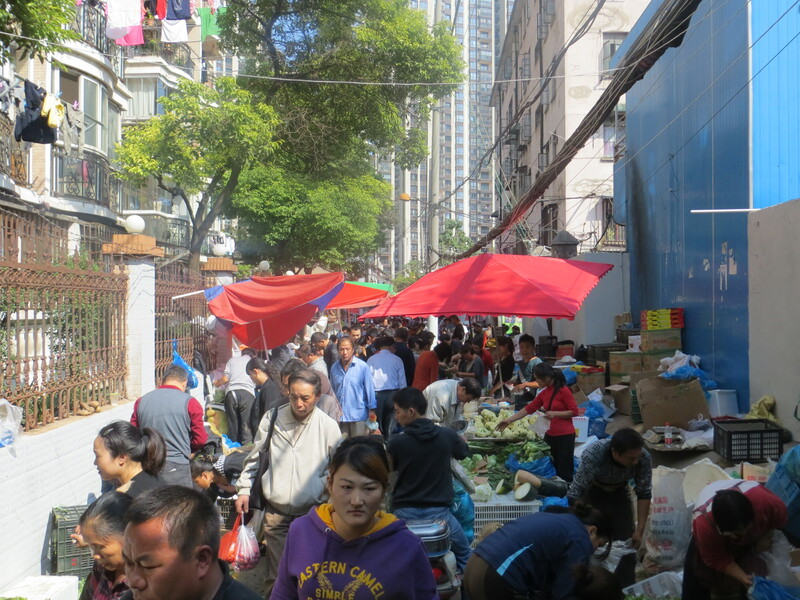 When Bob and I spent several days walking the streets and alleys of Shanghai this fall, we were more often than not the only westerners on lanes packed with people. Little boys were peeing in the gutters, women were slicing fresh baked bread with string, live chickens were getting their heads chopped off, eels were being sliced into tiny strips, and lots and lots of unrecognizable vegetables were being displayed on everything from bicycle powered carts, to wooden tables and tarps laid on the ground. Everything was for sale and I loved it. I can’t seem to get enough of markets where pig heads are hanging from the ceiling and the fish is so fresh their gills are still moving. So China was my kind of foreign country. 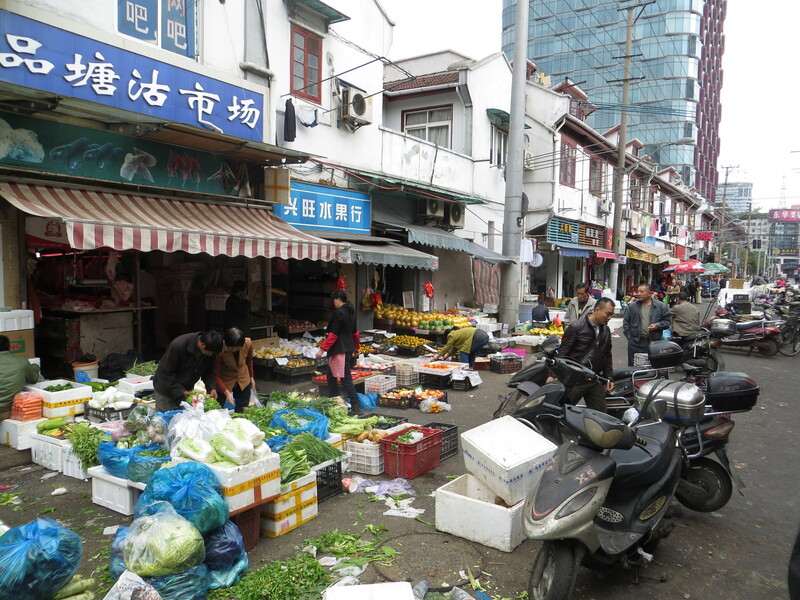 Grocery stores seem to be non-existent in Shanghai—we certainly didn’t see any. 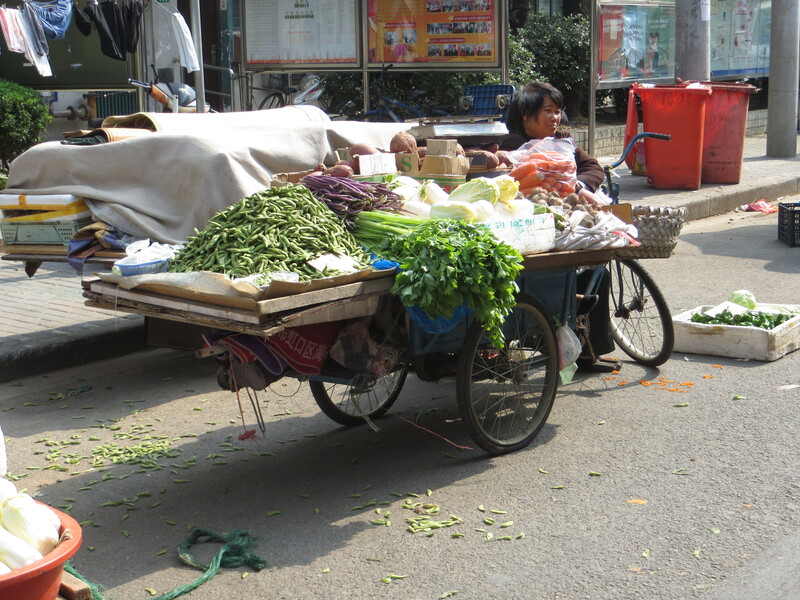 Shopping for food is done the old fashioned way, at a butcher or vegetable stall, right on the street. I can’t imagine these businesses are regulated in any way, but when you’re in a foreign country, sometimes you have to let go of the idea that the FDA has to approve all food and drugs for sale. 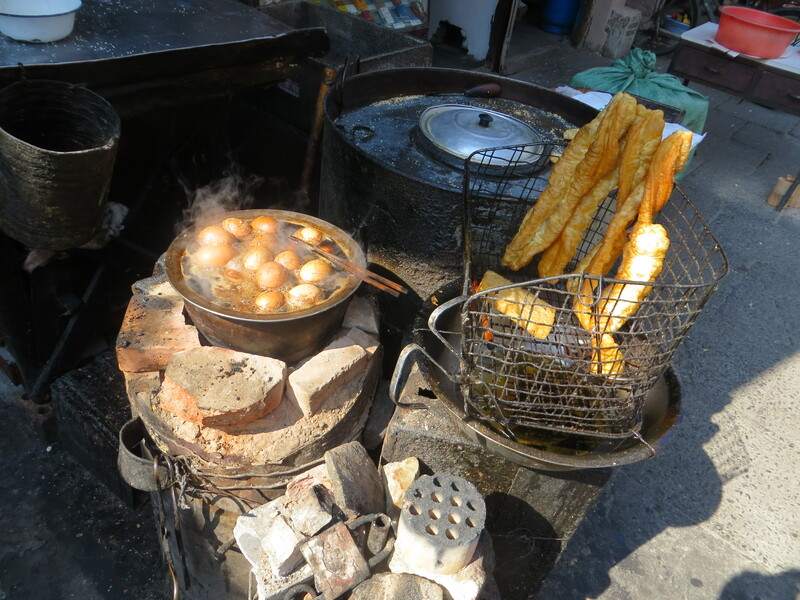 At some point, I stopped worrying about whether the woman running a food stall on a street corner wore plastic gloves when she handled my money, before cooking my food. I also let go of the concern of whether my chicken or pork was fresh, or cooked all the way through. And I did not get sick once. People in China don’t give you a lot of personal space, and when you’re shopping at food stalls in narrow alleys, that space is even smaller. Apparently you have to push your way to the front and yell if you want to buy something. I don’t think it’s rude, it is just the way things are done there. Spitting loudly, by the way, is apparently not rude either.